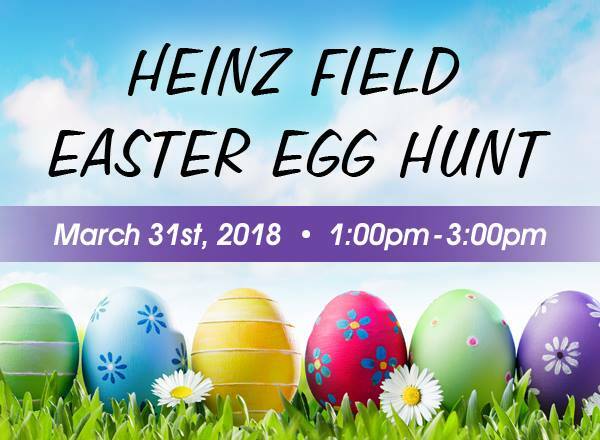 The hunt is on....Join us on March 31st for an EGG-citing afternoon of family fun at the Heinz Field Easter Egg Hunt! Children 12 and under will have a chance to win lots of fun prizes, including Steelers and Pitt Panthers tickets! Guests can meet the Easter Bunny and Steely McBeam, visit the FedEx Great Hall, participate in fun activities in the PNC Champions Club and enjoy snacks and beverages. Visit www.heinzfield.com for more details and to register today!